Albert Camus once said, "Man is the only creature who refuses to be what he is." That really applies to this film. Communication with someone who has Asperger's Syndrome is not the same. There is a more serious aspect to interaction, and when you look at it closely it almost makes more sense. Say what you mean. Don't play games. Don't lie. When you see a mind that works like this, it makes you wonder why the rest of us DO, in fact, play games with each other constantly. This is a feel good movie about a relationship between Adam and Beth. 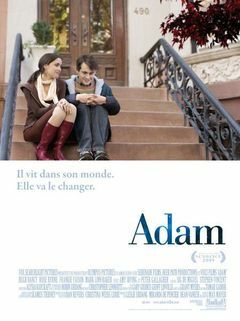 Adam has Asperger's, and before she officially finds out, Beth starts to have feelings for him. They end up in a relationship and he loves her the best way he knows how, but somehow despite this, it is not enough. The movie plays around with her relationship with her father, who does not approve of Adam, yet has done some very dishonest things in his own marriage and family life. Adam looks at his dishonesty and questions why his family is tolerant of it. It really puts things into perspective. While she might have to sacrifice some things with Adam, like romantic gestures, it is clear she would never have to question his loyalty. Hugh Dancy does a wonderful job of portraying Adam. It is very uplifting to see someone create a film on this topic and to cross the invisible social boundaries. Social boundaries that should be removed, no?